Can we talk about how amazing this dress is? 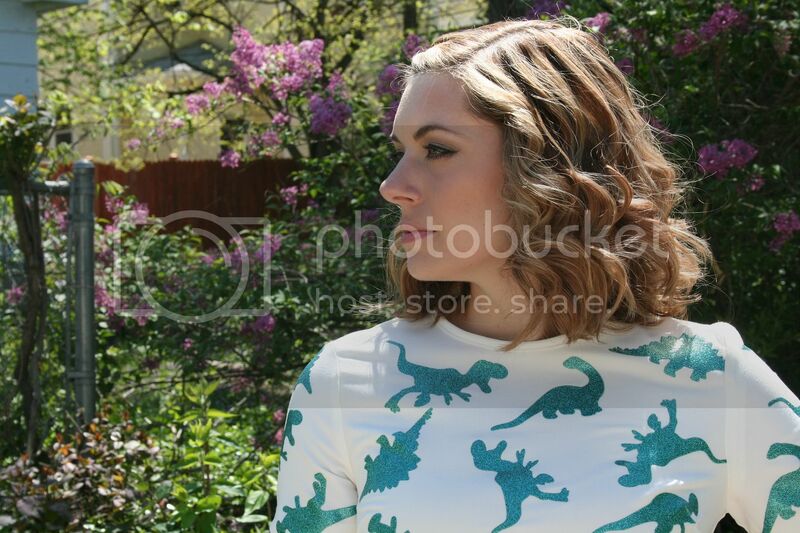 Whoever thought up putting green glitter dinosaurs on a dress is a genius and deserves the Nobel Peace Prize. Strong statement? Yes, but I feel very strongly about this issue. 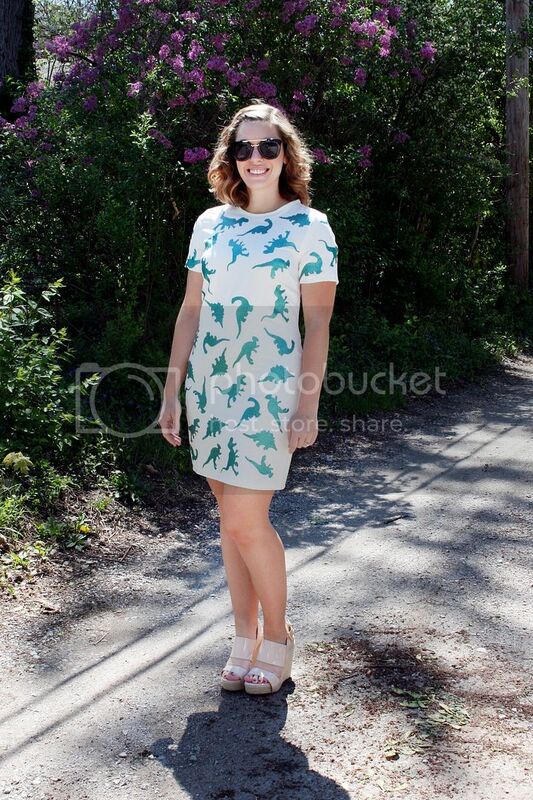 I first caught a glimpse of this on the Modcloth Instagram account. They teased a close up of the fabric and said that the dress would be available in the summer. As luck would have it, ASOS had it on their website first! I snatched it up and couldn't wait to wear it. I kept my shoes pretty neutral since the dress does says a lot on its own, but you could really go crazy with the accessories if you were so inclined. I'm toying with the idea of wearing it for my rehearsal dinner before my wedding. I think that would really make a statement, don't you? 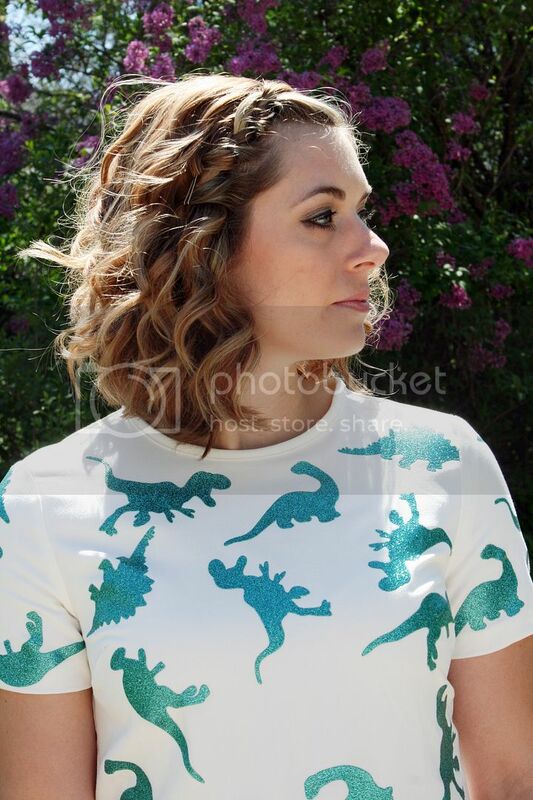 so cute, I am loving this dino print on you. Thanks Rachel! It's a pretty great print. If you ever by some crazy chance decide to sell this, please let me know! My sister rehearsal dinner is coming up in a couple of months and that exactly where I am wanting to wear this!